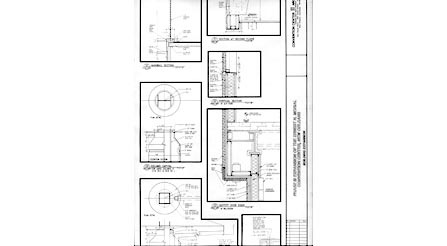 Commercial Projects Construction Detail Architectural Drawings. Miller Enterprises gets the details. New Orleans Convention Center expansion details. 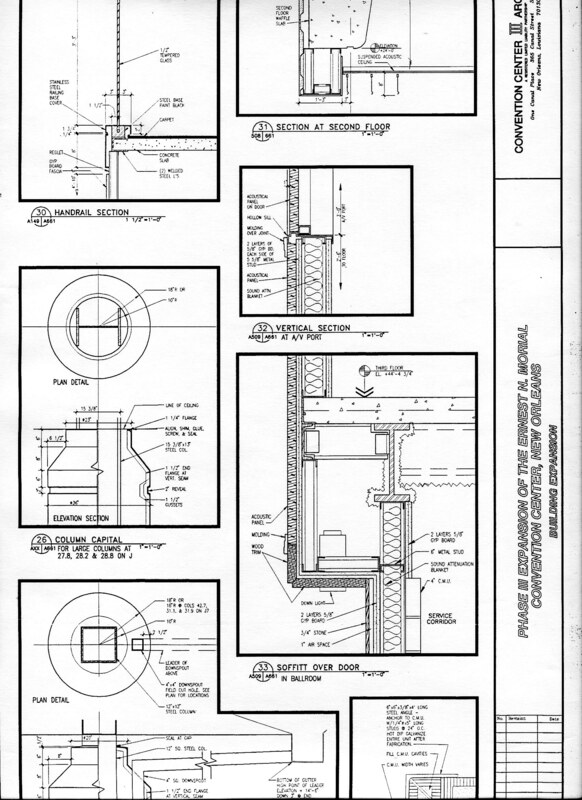 This drawing shows a bit of the New Orleans Convention Center column cover construction details. We handled a large amount of the interior details of the third expansion of the convention center complex on the Mississippi River in downtown New Orleans. 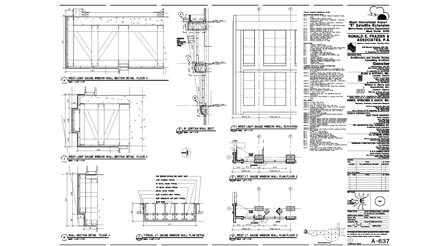 This drawing shows some of the exterior wall details we made for the new international terminal. A complex design with many details which had to continue consistently throughout. 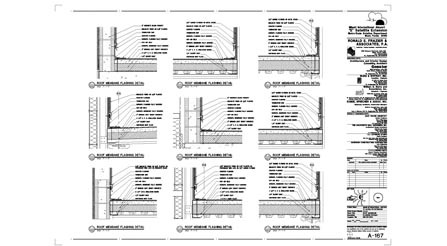 Another commercial project where, under the guidance of the engineers, we handled all of the roofing construction details.